K-DON Boat Net "Super Strong"
Indispensable for secure landing of big pikes and zanders from the boat. 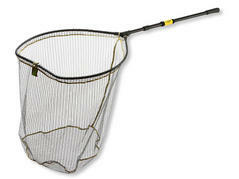 Ultra-strong landing net with aluminum head, distortion-proof stiff bail (ø12mm) and black anodized landing net handle, which can’t twist during sliding in and out. With grey, rubberized net with meshes of 15x8mm, the net’s bottom consists of rubberized 6mm meshes. Big predator landing net with practical, foldable head and a black anodized landing net handle, which can’t twist during sliding in and out. 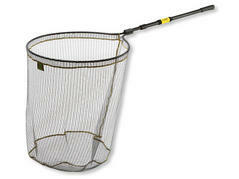 With grey, rubberized net with meshes of 15x8mm, the net’s bottom consists of rubberized 6mm meshes.